January is exhausting. Exhausting and cold. Cold especially as of late. As much as I love beer, I can also say the same for coffee. Although, if I’m being honest, coffee may be more of an addiction to caffeine… and warm liquid. Yes, I may be addicted to warm liquid. Hot showers, hot soup, hot coffee, hot tea, etcetera, etcetera… you get the idea. Someone thought it would be a good idea to combine these two things, coffee, and beer, for some reason. Uppers (caffeine) combined with downers (alcohol), a great combo, right? It’ll even you out. I doubt that’s the case, but regardless, let’s check out a few of my favorite uppers and downers! This award-winning coffee lager from Modist Brewing is one of my favorite non-traditional coffee beers out there. The nose is full of freshly ground coffee beans, toasted bread, a hint of chocolate, and sweet caramel. The flavors follow suit with a hit of coffee with supporting notes of malts, chocolate, and caramel. With a crisp finish, First Call’s coffee lingers for a good amount of time. Sweet and easy drinking, no wonder it won the bronze medal at the Great American Beer Festival last year in the coffee beer category! With the base of a solid Brown Ale, Surly‘s Coffee Bender is evidence that an awesome beer can be made even better simply by adding coffee. Aromas of rich coffee, earthy espresso, and faint berries offer a warm welcome with an invitation to taste. The taste is a nice mix of coffee, toffee, caramel, and toasty malts. The aftertaste is coffee through and through. Overall, this beer doesn’t have coffee in it to overpower the base beer. Instead, it compliments it which not every beer can claim. A simple beer that’s still complex enough to keep you coming back time and time again. A delicious coffee porter infused with cream inducing nitrous oxide. Enter Left Hand‘s Hard Wired. A vigorous pour expels aromas of strong roasted coffee, chocolate, caramel, and hazelnuts. The velvety mouth feel is greeted with flavors that start with coffee and followed by chocolate, caramel, and a hint of blueberry. A slightly sweet finish is accompanied with a slight coffee bitterness and no residual alcohol flavors. 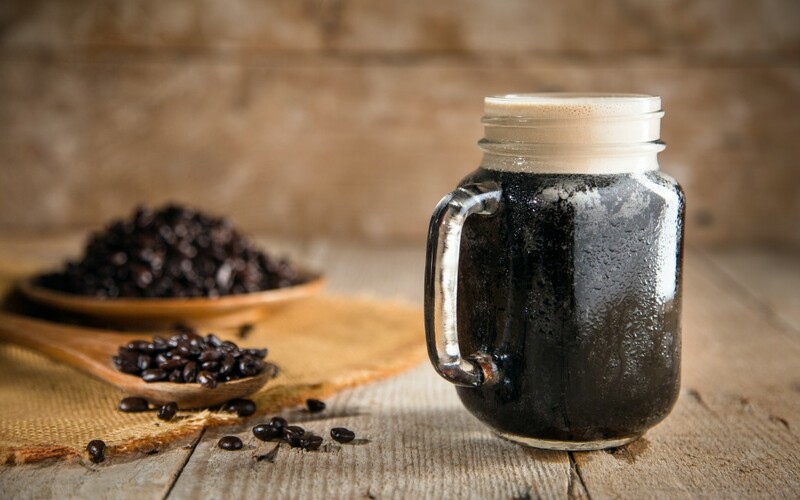 A stellar alternative to your traditional coffee porter.